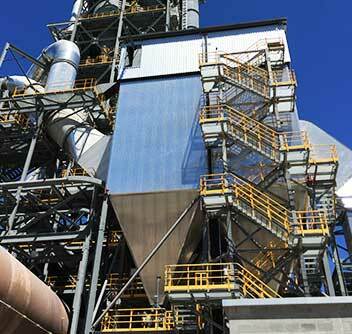 Our dust removal technologies surpass all global particle matter (PM) requirements. Our solutions can achieve practically zero emissions: 0.1 mg/Nm3 (0.06 gr/ft3) (WTE applications) and we also offer systems that reduce not only PM10 and PM2.5, but PM0.1 a.k.a. ultrafine particles. Indeed, we continue to invest in our R&D to remain ahead of legislation, ensuring that you’re covered for years to come. We can design and produce fabric filters (baghouses/bag filters) for any industry, any application and any process condition as we tailor-make each one. Our fabric filters offer 99.9% efficiency, blocking even the smallest particulate matter (PM) (micro-pollutants). Filtration using ceramic filters is a technology gaining increasing interest and Boldrocchi is one of the few companies in the world with experience implementing it. High temperature filtration provides optimal filtration efficiency while withstanding high operating temperatures and is particularly useful when looking to increase heat recovery and/or comply with stringent emission regulations. 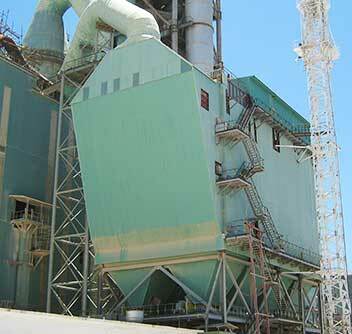 What’s more, the use of ceramic filters reduces OPEX as they require less energy, fewer cleaning cycles and reduced downtime while foregoing the need for cooling systems. Boldrocchi has been studying the efficacy of ceramic candle filters laced with a catalytic material. An integrated catalyst would allow customers to forego a DeNOX reactor. 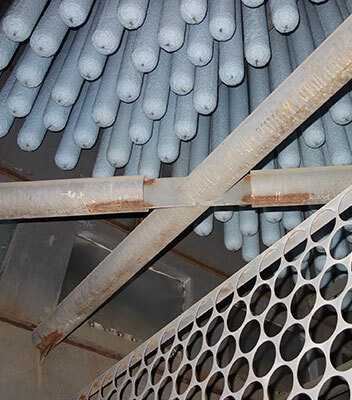 Electrostatic precipitators (ESPs) continue to be excellent devices to control particulate emissions in several industries, including fumes from electricity-generating utilities (coal- and oil-fired) and catalyst collection from fluidized bed catalytic cracker units in oil refineries to name just two. We have significant experience dealing with ESPs in the cement industry as well, most often to refurbish or retrofit existing ESPs. Boldrocchi can also convert ESPs: use the external casing and some parts but transform the system into a fabric filter or hybrid filter. Retrofit, upgrade and conversion solutions are all lower CAPEX solutions. Hybrid filters offer high efficacy in dust removal. 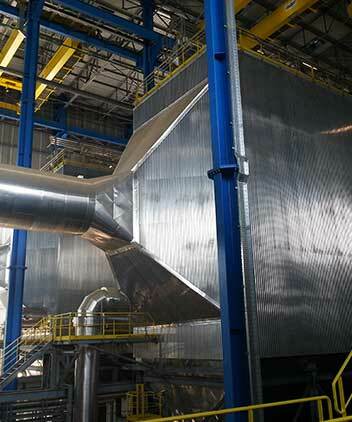 Hybrid filters are both an electrostatic precipitator (ESP) and a fabric filter in one system. The dust is first collected by the ESP section, and by the time the gas goes into the fabric filter portion, dust is greatly reduced. Great performance: the smallest micro particles – the most dangerous for humans and animals – are captured and disposed of. Lifetime and efficiency: the fabric filter portion undergoes less stress and therefore performs exceptionally for a longer amount of time. 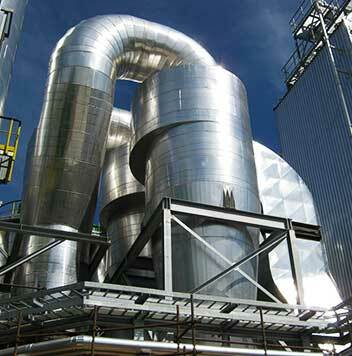 Reduced footprint in greenfield projects: by removing the majority of dust in the ESP section we can increase the filtration velocity and decrease the number of bags, allowing customers to save space. Reduces CAPEX in revamp projects: more parts of the existing system can be re-used (although OPEX can be slightly higher). Many clients know they need dust suppression, but don’t know exactly what they need. Others have space constraints and need off-sizes or strange shapes. 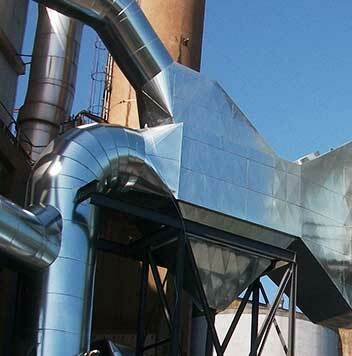 Boldrocchi’s air pollution control specialists are experts in studying your process parameters, dust suppression goals and space constraints – they’ll go on-site if they have to – to design a customized solution that will achieve (or surpass) objectives and offer reliability for years to come. Adding cyclones or multi-cyclones can be a cost-effective strategy. They use centrifugal action to separate suspended particulates and collect them in a hopper. Cyclones are particularly effective with particles of a certain size and density, able to reduce dust (by weight) by up to 95%, or more if using multi-cyclones. Cyclones can be used for various applications: as dust pre-separators, spark arrestors or to enhance flue gas treatment. They are also well suited for erosion control upstream of fans and finish filtration. Our multi-cyclones are several abrasion-resistant cast-iron tubes in a casing to increase cyclone efficiency. 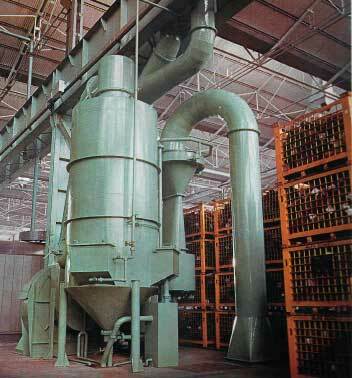 There are numerous kinds of scrubbers and Boldrocchi offers most of them. 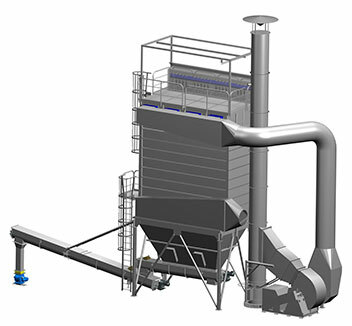 In terms of dust removal, Boldrocchi offers a wet scrubber or “Venturi” scrubber that removes dust particles – this one for rather light applications. These wet scrubbers use only water with no reagent to remove particulate matter (PM). These devices are relatively small compared to our other dust removal solutions, at roughly two stories high. 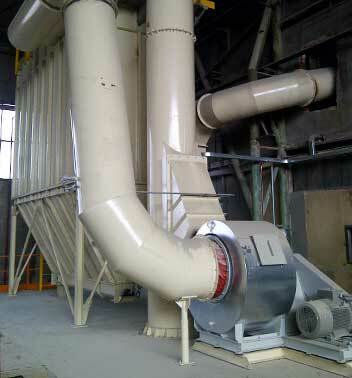 Boldrocchi offers Circulating Dry Scrubbers as well. Our specialized team will study your operation’s process parameters and objectives and recommend which to choose. Our engineers tailor each scrubber in order to ensure your desired efficiency is reached. Combustion chambers (or “drop-out boxes”) are dust pre-separation devices that protect the more efficient filtration device (often a fabric filter) from possible abrasion and sparks, increasing the lifetime of the main filtration device. These combustion chambers are common to de-dust electric arc furnaces, for example, in the steel industry.